Do you love the sound of waves crashing onto the shore, sun in your face and sand beneath your feet? Then this box is just right for you. 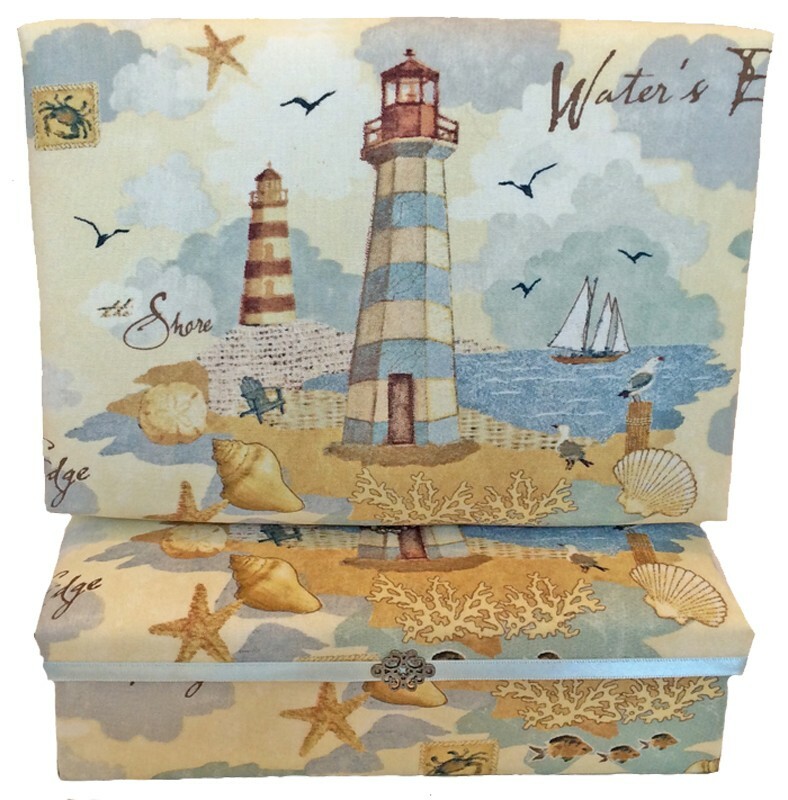 Lighthouses, sailboat, sea gulls and sea shells in pastel hues grace this box. The lip of the lid is encircled with a pale blue ribbon accented with a antique brass filigree. Inside the box you'll find more lighthouses against a light blue background. Comes in one size only - 8"x 5"x 2". 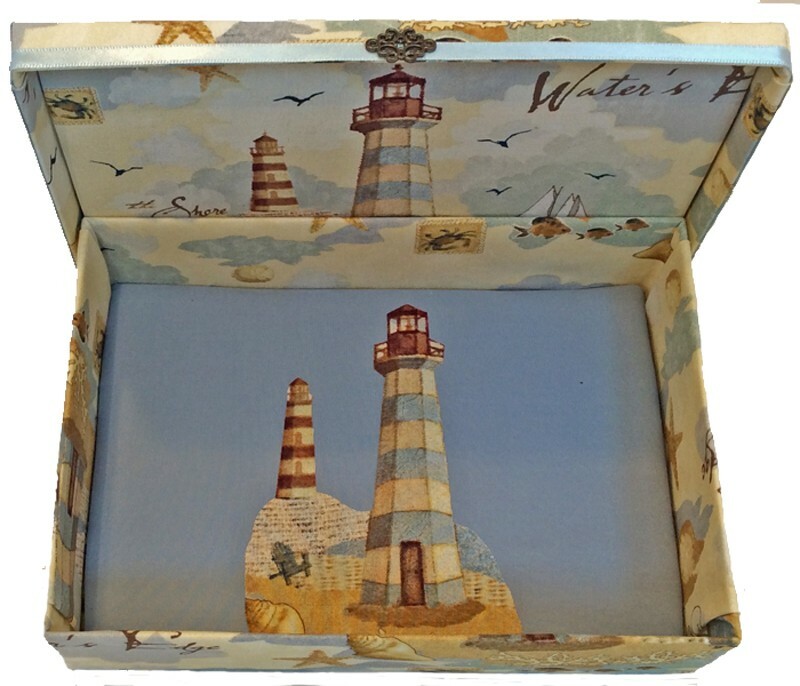 A must-have box for the Shore House or for anyone who loves the sound of waves crashing onto the beach. The 8"x5"x2" size is perfect to hold sea glass, sea shells and all the little treasures you find on your daily walks on the beach.